Keeping with their vision of intent based networking, Cisco is now working to deliver it in more places. Catalyst 9200 runs the same OS as the rest of the Catalyst 9000 line but is designed for smaller deployments. 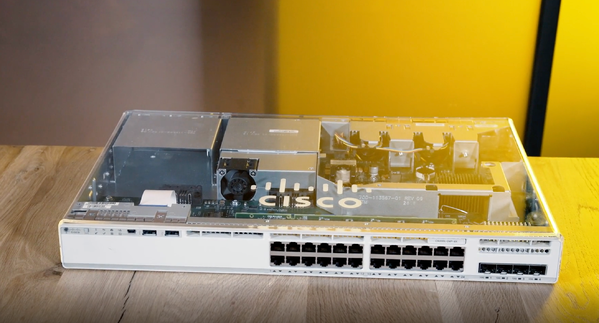 This new switch gives mid-market businesses access to Cisco’s full suite of enterprise services without compromising the security provided in the larger enterprise switches. Catalyst 9200 Series switches focus on offering simplicity without compromise – it is secure, always on and increases IT productivity. Customers who love cost effective full-featured Cisco Catalyst 2960-X switches are bound to love the new Cisco Catalyst 9200 series. The 2960-X switch to the 9200 Series increases availability and simplicity, leveraging a trusted architecture that will help your network run faster and safer. For customers looking for higher bandwidth and uplink capabilities while anticipating future needs their company, the Catalyst 9200 is the perfect solution. Want to increase your company’s through-put? Contact us today to get your Cisco Catalyst 9200!